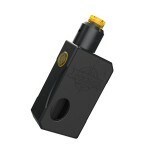 Mechanical Mods There are	7 products. Mechanical Mods consist of a casing and a battery. All mechanical mods do not come with a battery, be sure to order one on check out!